This immaculate home is sure to appeal to anyone looking for an affordable holiday home close to the lake - but stay there a couple of nights and you'll want to make this your permanent residence! 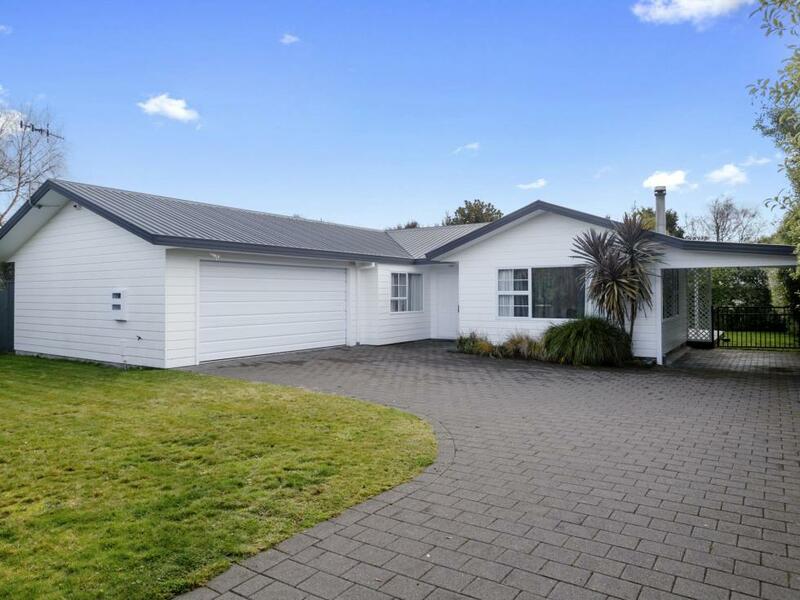 This 1994 three-bedroom home in the sought-after Wharewaka location with the well-known holiday benefits of being able to easily walk to the lake and just minutes from the Three Mile Bay boat ramp for boat owners. The flow of the home works so well with open-plan kitchen-dining-living room area opens expertly to a private backyard and decking area for perfect summer outdoor living. The master bedroom with light and spacious ensuite, the other bedrooms and family bathroom all work so well together that it is simply a matter relaxing and enjoying what this property has to offer. The excellent integral double garaging and extra carport together and outside area for easy parking of your boat make this the perfect package. Here is your Christmas present early - be in and enjoy your whole Taupo summer here. Its easy said - But "This home won't last long". Phone Mike for your appointment today.